When you think of Japan I’m sure two images pop in to your brain; the bustling, ever vibrant, noise of Shibuya Crossing in Tokyo and the calm, tranquil, tradition-filled serenity of Kyoto. To me, these two images define Japan. It’s a magical country that has seemingly mastered the art of blending the old and new. Traditions are admired and followed as the latest, greatest technology rolls through. Where you can stumble out of a state-of-the-art karaoke bar at 3am and stumble in to a perfectly preserved temple located just next door. Somehow, perhaps through divine intervention, as soon as you walk through the torii gate marking the entrance to one of these shrines or temples, the world seems to silence itself. It’s an amazing feeling. If you are wanting to really escape the hustle and bustle of Tokyo or Osaka, Kyoto is the place to go. It’s an absolute “must” for any first time visitor to Japan and definitely more laid back from its urban cousins. Kansai (the region Kyoto is located in) is also something to definitely be experienced. It’s rather different from Kanto (Tokyo’s region) in attitude, food, and dialect. Drop the “arigatou” and pick up “ookini” (pronounced ohkeynee) instead! I’m breaking this blog post in to two parts. I absolutely adore Kyoto and, having my base in Tokyo, have been there multiple times; so I have quite a bit to say about the city. A ride on a shinkansen (high speed train) from Tokyo to Kyoto will take anywhere from 2.5 – 3.5 hours depending on the type of shinkansen you have booked and will cost around ￥25,000 (around $200). I would suggest grabbing a JR Pass from your home country before you come to Japan, however. It’s a much better bargain and multiple travel companies can provide them. 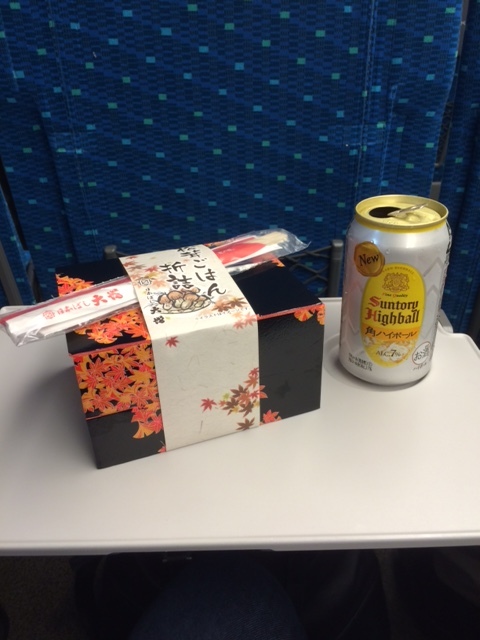 Enjoy a bento box and drink on the train ride. Kyoto is a city absolutely full to bursting with shrines and temples. 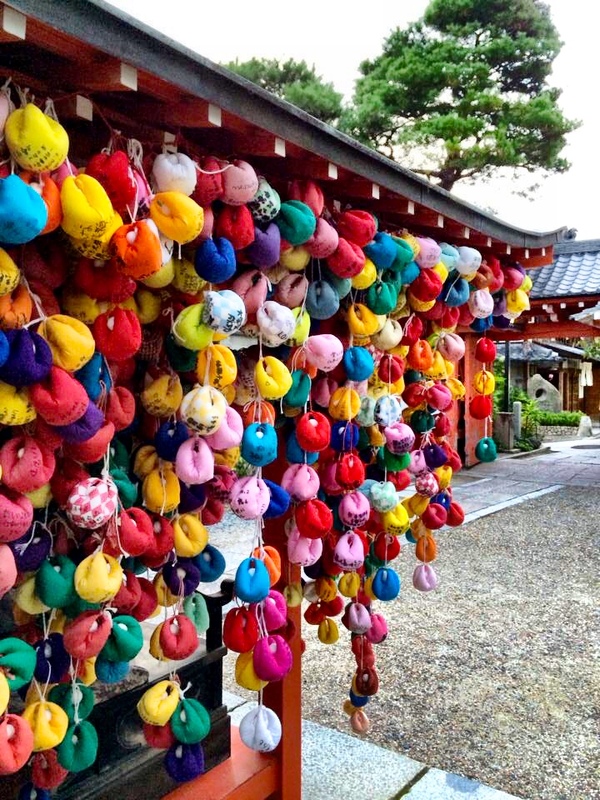 It’s no wonder it has earned the nickname of The City of Ten Thousand Shrines. 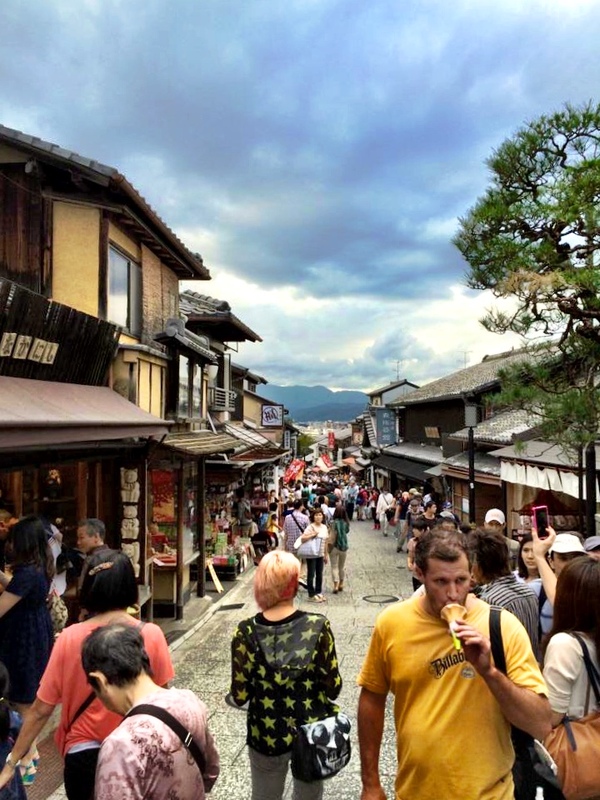 With so many picturesque places to visit, however, Kyoto can some times been a bit overwhelming and people can find themselves “templed out”. This is a guide I made up a while ago to give all of my friends who were visiting me in Japan from overseas. 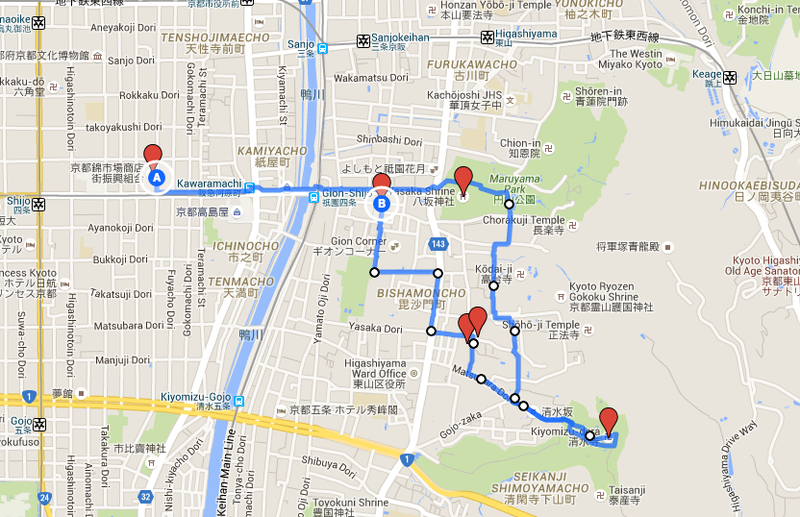 It’s a solid 2-day itinerary that I think will show you some of the best of Kyoto. I’ve designed it so you hit up a lot of sight-seeing spots within a single area. If you have time, however, there are some other places outside of central Kyoto that are worth going to. I’ll include that list at the end of Part 2. When you arrive to Kyoto station, you can either take a taxi or the metro to get to your hotel. Taxis are fairly reasonable, so if you don’t want to lug your bag up and down stairs, it’s a wise choice. Japan hasn’t quite caught up to making all of their metro lines handicap (or heavy luggage) accessible, unfortunately. All of the metro systems in Japan are pretty easy to navigate. If you have any trouble, just ask one of the station attendants. They all know at least enough English to help get you headed in the right direction. I always stay in the Higashiyama/Kawaramachi/Gion area, as it is incredibly central and close to most of the places I like to visit. If you want the true “old school” experience, treat yourself and stay in a ryokan. A ryokan is a traditional guest house where you’ll most likely sleep in futon on tatami floors and be fed an incredible kaiseki feast. The last ryokan I stayed at was Yutone and I can’t recommend it enough. 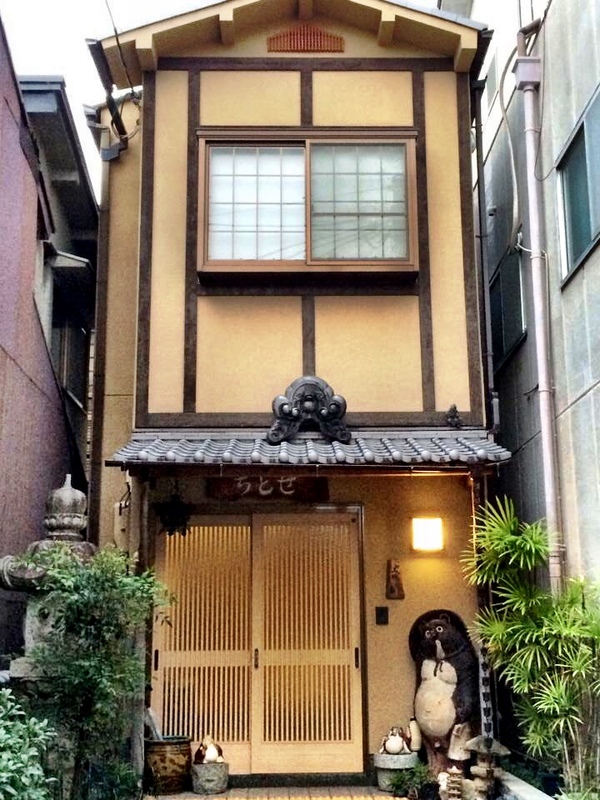 A nice ryokan is going to set you back AT LEAST $300/night. That generally comes with a massive dinner and breakfast, however. If you’re a bit more budget conscious, I’ve heard great things about Jam Hostel and Khaosan Hostel. 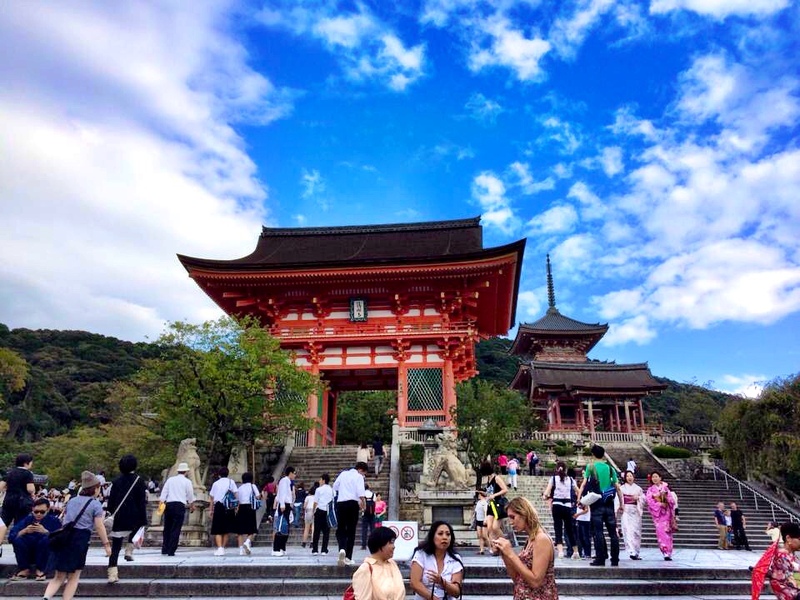 Small word of warning – If you’re looking for the Kyoto most travelers won’t come across, the “inside” Kyoto, you’re going to need to speak Japanese. If your desire in Kyoto is to rub elbows with locals and find hidden gems other tourists might not find, make a Japanese friend that can at least call ryokans and restaurants to book for you. Please don’t let this turn you off from general tourism, however! It’s a city that thrives off of tourism, so getting around and seeing all the sights is easy. Just know that if you get turned away from something, it’s probably just because they feel there would be too much of a language barrier for them to provide their service for you to the standard they like. Nishiki Market is a treasure trove of local delicacies and Japanese staples. Look through the numerous food stalls and make sure to try the samples! If you like pickled things, you’ll be in heaven. 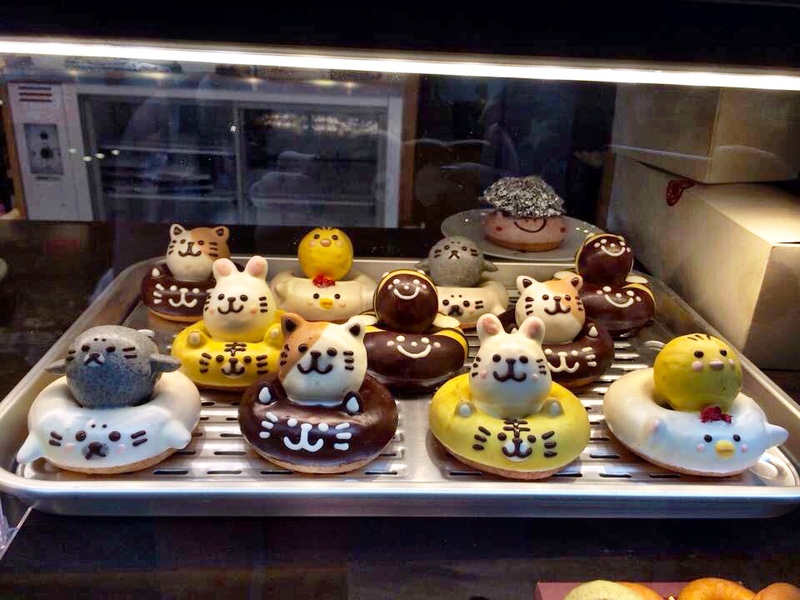 And also cute donuts! 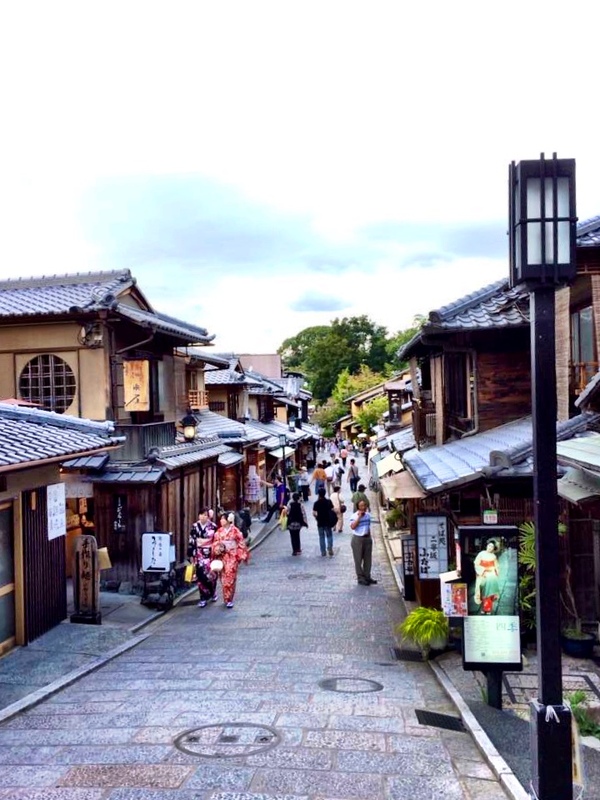 While you’re in Nishiki Market, you’ll be in the heart of Kawaramachi – Kyoto’s shopping area. You’ll find standard brands along with unique Japanese clothing and trinkets. Shopping galore. 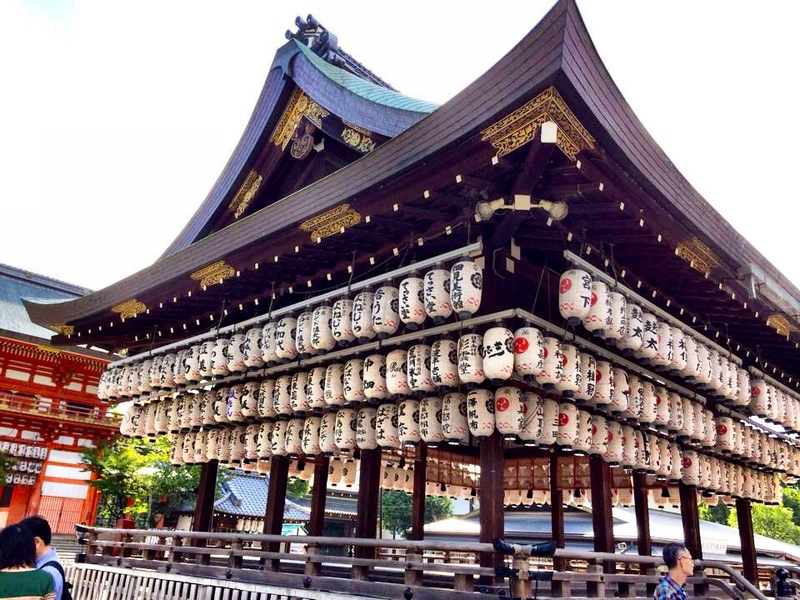 Walk down Shijo Street, cross the river and you’ll end up at Yasaka Shrine. The large red torii gate at the dead end of the street is hard to miss. 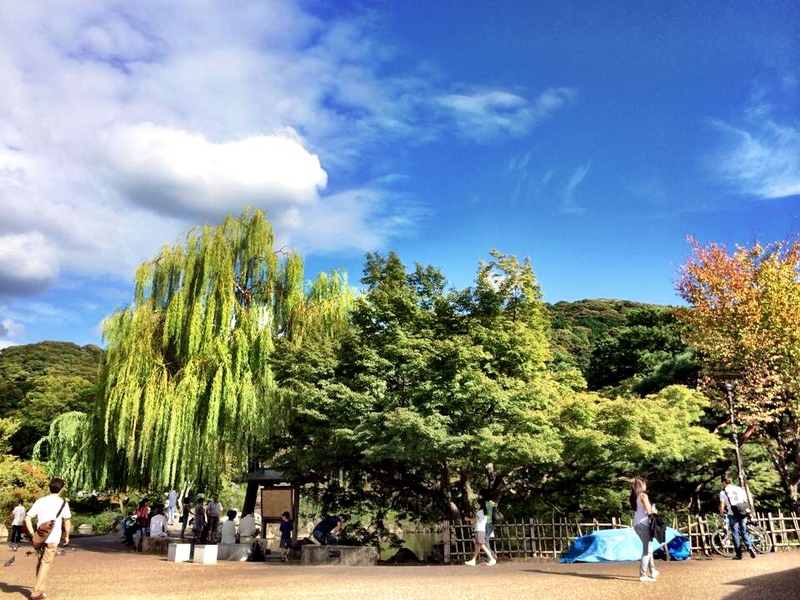 If you walk all the way to the back of the property, there are beautiful willow trees and tranquil koi ponds. If you’re lucky enough to be there during one of the festivals, make sure to sample food from the vendors! Japanese festival food is unbelievably delicious. This is one of my favorite – ayu. 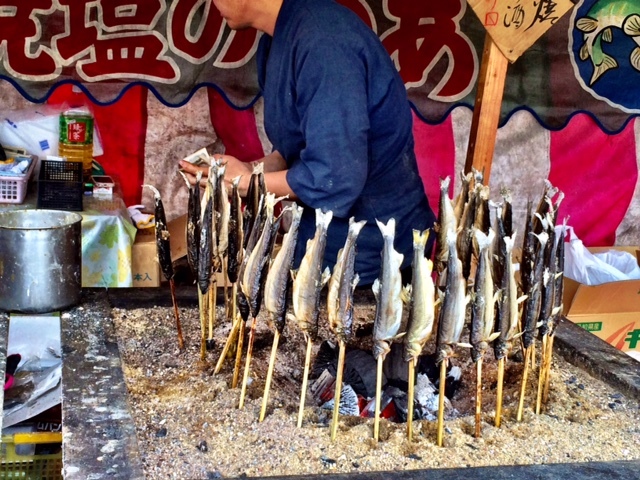 Little fish grilled around a charcoal fire. Exit Yasaka through the gate on the right near the middle of the temple. This will dump you out on to a street that leads you to Higashiyama. Keep on walking and you’ll eventually end up on a pedestrian street that meanders its way up. The pedestrian street that winds its way up to Kiyomizu-dera. There are tons and tons of shops selling everything from delicious soft serve ice cream to kitschy tourist junk. Make sure to stop in some of the super touristic shops to try a sample of the traditional Kyoto triangle shaped treat, Yatsuhashi! Yatsuhashi are thin rice cakes with a sweet filling. Keep on walking and following the crowds. Hope you like stairs, since there’s a few to climb. Really, you don’t want to miss out on the ice cream in Japan. Kyoto makes an amazing green tea soft serve. Or try kinako flavor! Sweet roasted soy beans. And you made it! This is the entrance to Kiyomizu-dera. This is probably one of the (if not THE) most popular temples in Kyoto, so be prepared for the crowds. The view of the temple inside. Generally, when visiting a temple or shrine, you’re not supposed to take photos of the inside. 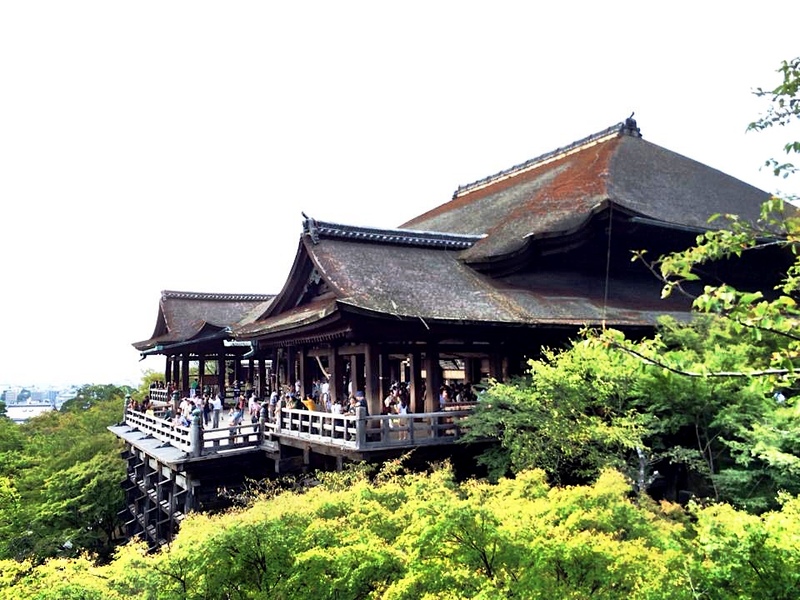 Kiyomizu-dera is rather dark and smoky inside, so I’m not sure pictures would turn out, anyhow. Always pay attention to signage asking you to remove your shoes if you plan on entering the actual temple area. A lot of them are tatami floors and shoes on tatami is a big no-no. 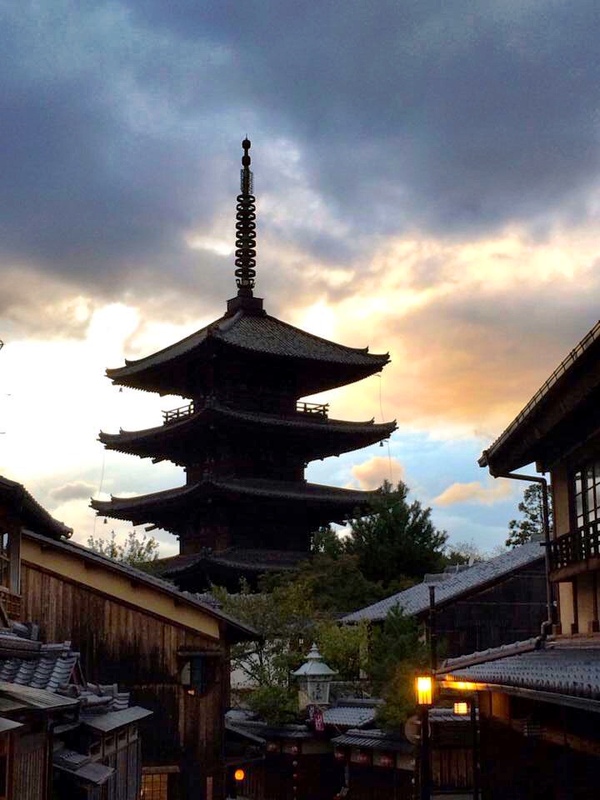 Head back out and wander down the streets to Yasaka Pagoda. If you get a bit lost, don’t worry. The pagoda is hard to miss, so just keep heading towards it. Just a second down the street from the Pagoda is a the small shrine, Yasaka Koshin-do. This is a perfect photo spot. I love Japanese racoon-dogs – called Tanuki. You’ll see statues of them all over Japan. This is a small ryokan named Chitose. Follow the street down and you’ll hit the main street. Take a right and head towards Gion. 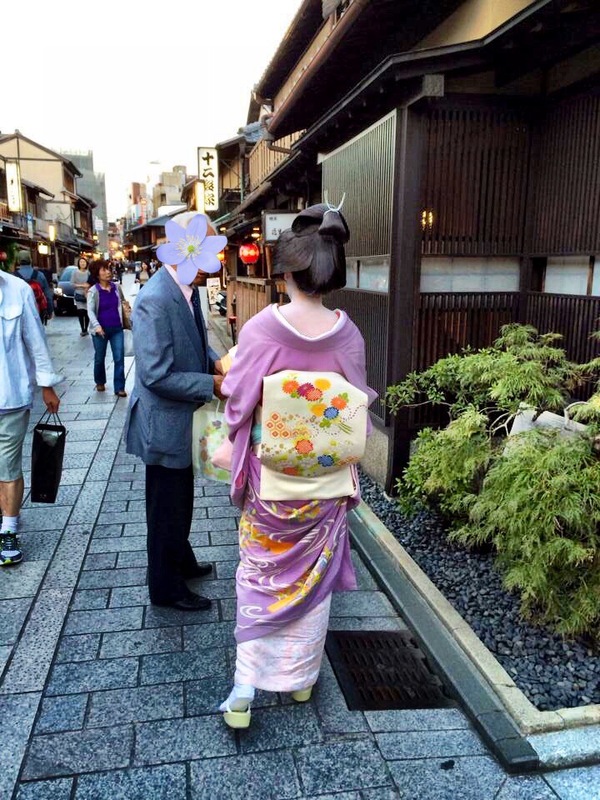 In Kyoto, Geisha is not the word that is used. It is either Maiko or Geiko. A Maiko is an apprentice and you can tell them apart from the Geiko, as their dress will be much more elaborate. Take a look at her hair and her obi (the sash around her waist). If she has a lot of ornaments in her hair and the back of her obi is very long, she is a Maiko. This woman is a Geiko. Her obi is short and hairstyle is more subdued. When taking a photo of a Maiko or Geiko, please don’t stop them or get in their way. They’re on their way to work. Also, it’s considered bad form to take a picture of the client if she is with one. Whoops! Isn’t her kimono beautiful? 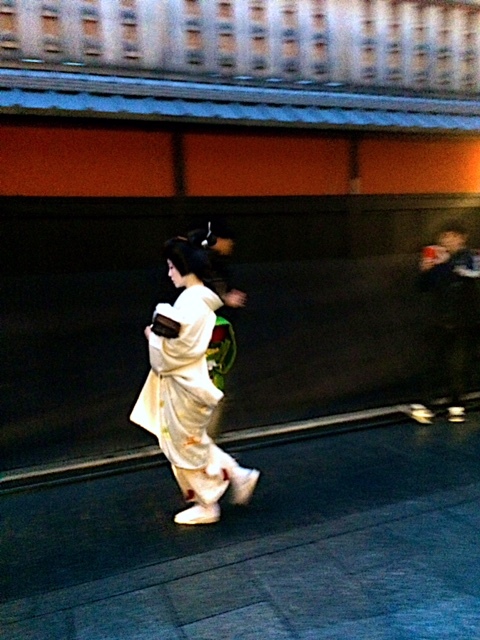 Another Geiko hurrying to a tea house. Along with Geiko and Maiko watching, Gion is a great place to grab a bite to eat.